Michael Langford is a teacher, thinker, writer, and speaker who wants to help the church bring rich theology, good ministry, and deep spirituality into discipleship living. 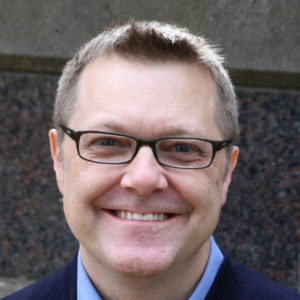 He is an Associate Professor of Theology, Discipleship, and Ministry at Seattle Pacific University and Seminary, and Executive Director of Immerse Youth Discipleship Academy. Mike holds a Ph.D. in systematic theology from Princeton Theological Seminary and is an ordained Presbyterian minister. He and his wife, Kelly, live in the Seattle area with their four kids. Jesus spent his time among marginalized communities, offering hope and healing. Langford asks: Who in these stories really needs healing?